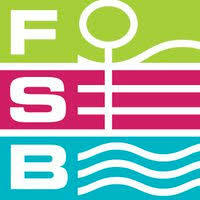 A new edition of the FSB fair will be organized from 5 to 8 November. The biennial exhibition traditionally takes place in Cologne, Germany. The exhibition shows the latest developments in the field of sports facilities and accommodation and is a gathering point for municipalities, sports clubs and architects from all over the world for four days. The last edition in 2017 attracted a total of 26,600 visitors and 634 participating companies from 45 different countries. Like previous editions, Howitec Netting will be present. You can find us in Hall 9 F030.